We’d love your help. Let us know what’s wrong with this preview of I Wait for the Moon by Momoko Kuroda. Momoko Kuroda (b. 1938) is a remarkable haiku spirit and a powerfully independent Japanese woman. The one hundred poems here—her first collection in English—show her evolution as a poet, her acute lyricism, and her engagement as a writer in issues central to modern Japan: postwar identity, nuclear politics, and Fukushima. 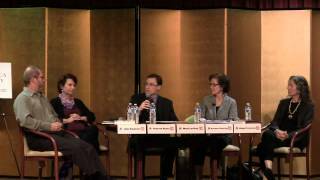 Abigail Friedman's introduction and textual comment Momoko Kuroda (b. 1938) is a remarkable haiku spirit and a powerfully independent Japanese woman. The one hundred poems here—her first collection in English—show her evolution as a poet, her acute lyricism, and her engagement as a writer in issues central to modern Japan: postwar identity, nuclear politics, and Fukushima. Abigail Friedman's introduction and textual commentaries provide important background and superb insight into poetic themes and craft. Momoko Kuroda is one of Japan's most well-known haiku poets. To ask other readers questions about I Wait for the Moon, please sign up. We think we know haiku. It's the short-short form of poetry based on seventeen syllables in a 5/7/5 line length, usually an observation of nature. It's poetry of the moment, dashed off quickly, not serious writing. Wrong. Haiku is so much more—which is only one of the surprises in this beautiful small volume of haiku from one of Japan's most renowned poets, Momoko Kuroda, translated with insightful commentary by Abigail Friedman, a career U.S. diplomat who studied with Kuroda when Friedman lived We think we know haiku. It's the short-short form of poetry based on seventeen syllables in a 5/7/5 line length, usually an observation of nature. It's poetry of the moment, dashed off quickly, not serious writing. Wrong. Haiku is so much more—which is only one of the surprises in this beautiful small volume of haiku from one of Japan's most renowned poets, Momoko Kuroda, translated with insightful commentary by Abigail Friedman, a career U.S. diplomat who studied with Kuroda when Friedman lived in Japan. Like the haiku it centers on, I Wait for the Moon cannot be summed up in simple terms. The hundred poems Friedman chooses take readers on a journey through life, writing, Japan, and the evolution of one woman's resonant writing voice. Haiku, it turns out, are limited to 17 units, not syllables: the units are 17 sounds of Japanese Kanji, the pictorial letterforms. The line lengths are not a prescribed 5/7/5; rather they are signaled by grammatical breaks or kireji, the word that signals a "cut" or turn, a surprise in the haiku. The point of delving into haiku form is not to mess with reader's heads, but to show the intricacy in those seventeen beats, details that make this form of poetry far more challenging and meaningful than most people realize. "As is so often the case with haiku, it is the unstated which completes the poem. We must divine the sound of calendar pages fluttering and flapping in the wind, drawing Momoko's attention to the calendar stall. Here, everything is in motion—the poet walking through the passageway, the wind, the pages of the calendars, and time itself (the calendar being a symbol of tempus fugit)." Friedman shows Kuroda's decades-long evolution from a classical poet of haiku, based on reporting or observation, to a poet whose haiku are deeply reflective. The changes in the poet's writing voice were sharpened by the events of March 11, 2011, when the most powerful earthquake ever recorded in Japan struck the country's northern coast, followed by a devastating tsunami and the man-made devastation at the Fukushima nuclear power plant went into meltdown. Momoko believes the triple disaster changed not only the lives of the victims, but everyone's lives. She felt that she needed to achieve a 'self-revolution.' She set about contributing to the revival and rebuilding effort through her role as a haiku selector [she was asked to encourage locals to write haiku about the events]. ... Momoko urged contributors to write about their painful experiences. (Specifying such a request was particularly necessary as the cultural norm in Japan would be for victims to try not to burden others with their pain.) She embraced the idea that haiku did not have to be about the blessings of nature. She confessed regret and shame at having failed to heed early critics of nuclear power, and she took a public stand along with other artists against nuclear power. Looking back, Momoko believes that the events of March 11, 2011, forced a transformation within her, altering her perspective on life and nature, as well as haiku. I Wait for the Moon is haiku at its richest, an exploration of life and our lives through the voice of a justifiably revered poet and her insightful student. The book itself honors the poetic form; it is carefully crafted and beautiful in its details, inviting readers to savor the words—and wisdom within. I Wait for the Moon is a lovely compilation of Momoko Kuroda's work that can be enjoyed by haiku lovers and novices a like. Kuroda's poems are evocative, and she possess such a range in topics that she is able to bring to life in a few short lines. My favorite section of the book is "Deep Beneath the Sea," which is a sub-collection about the 2011 Tōhoku earthquake, tsunami and the Fukushima nuclear disaster. 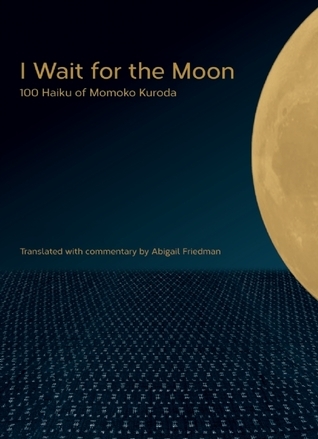 She juxtaposes the flora of Japan while capturing the heartbreak of the survivors who lo I Wait for the Moon is a lovely compilation of Momoko Kuroda's work that can be enjoyed by haiku lovers and novices a like. Kuroda's poems are evocative, and she possess such a range in topics that she is able to bring to life in a few short lines. My favorite section of the book is "Deep Beneath the Sea," which is a sub-collection about the 2011 Tōhoku earthquake, tsunami and the Fukushima nuclear disaster. She juxtaposes the flora of Japan while capturing the heartbreak of the survivors who lost family members and their livelihoods. The work of editor Abigail Friedman is also much appreciated because she provides as much and as little information about Kuroda so that the reader can interpret their own meaning from the haikus on their own. Friedman also provides context to her translations and certain Japanese figures, which is helpful for readers who have never heard of Kuroda or know little about Japanese culture. Overall, this book is a good introduction for American readers to Kuroda and haiku. This was one of the most beautifully put together and informative poetry collections I've ever read. The author/editor/compiler of haikus managed to explain things without taking the magic away from the original poem. Will definitely be adding this to our poetry library. Goodreads Giveaway. An interesting and informative little book on Haiku's and their translations. A new haiku favorite, with a perfectly suited translator. We can see the original Japanese, and Abigail Friedman often explains why she made the choices she did in translating, or she gives some personal information about Momoko's state of mind when she wrote the haiku, or she offers a contrast with a classic haiku. I cried during the chapter Deep Beneath the Sea, which deals with the Great East Japan Earthquake. The mob ing and thought- provoking haiku, in both the original Japanese and translated English, are written by Japan’s premier haiku poet and translated by her friend. The explanations and backstories provide good insight. Friedman has managed not only to translate Kuroda’s work but really bring it to life in this wondrous little book! I learnt so much about Haiku, the history & culture, the language & subtleties, as well as Kuroda’s life and experiences. All alongside beautiful Haiku’s. A must-read for a lover of this art form. I received this book for free through a Goodreads first reader giveaway. Haiku is such a beautiful medium, and both the poet and the translator work with it well in this collection. I very much appreciated the commentaries as well, as they helped make the poems more real and meaningful to me as a non Japanese speaker. One thing I learned is that some Japanese letters have long sounds making them two syllables. A good book on an author I didn't know. Many haiku were commented on and these are worth the cost of the book. Learned a lot about Haiku & Japanese Culture. The haiku written in response to the 2011 earthquake and tsunami are particularly haunting.